NEW CHALLENGE: Aaron Clare is stepping up. Kirton rider Aaron Clarke has made the decision to take the big step up to the Pirelli National Superstock 1000 class for 2019. Clarke will be riding a BMW in the series and is currently preparing the machine in readiness for the new season – which starts in April with the first round at Silverstone over the Easter weekend of April 19-21. 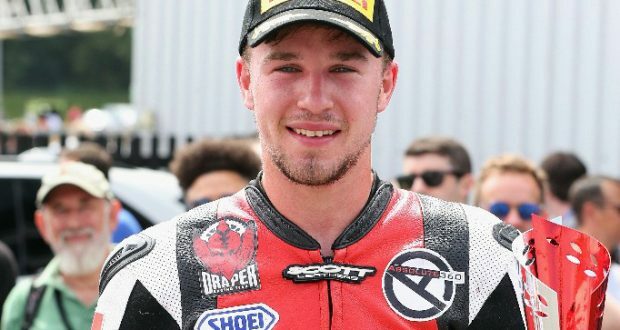 Over the past few years Clarke has contested the Superstock 600 championship and made steady progress in the class, culminating with an exceptional season last year. He recorded a string of top results including second places in the races at Snetterton, Brands Hatch and Cadwell Park to clinch third place in the overall championship. With the demise of the Draper Racing team Aaron decided to go it alone and move up to the 1000cc class where, although it will be a huge learning curve, he is aiming his sights at top 15 finishes. 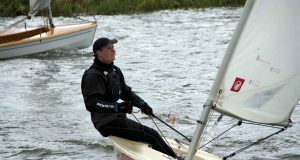 He said: “I realise it will be a huge task for me but I have no pressure on me and I am relaxed and have been training through the winter months so let’s see how we go. “I had a ride out on my father’s 1000cc bike at the end of last season and I felt very comfortable on it. “It handled well and didn’t feel that much different to the little 600 so I am confident I can do well in the bigger class. 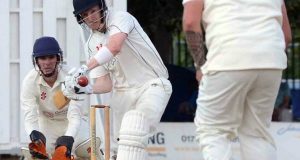 “I realise the quality of the field is very high but I will learn as I go on and feel I can realistically get up into the points and build from there. “We have plenty of races so lots of track time which will help me. “I would like to thank PS Higgins Electrical Contractors, Rideworx, Paul Lids and my Club 50 and 500 members for their support, I am truly grateful. “I am still looking for further sponsorship to help me this year so if anyone is interested in supporting me in any way please get in touch via email at aaronclarkeracing@gmail.com so I can explain in more detail. “The club 50 and 500 is proving to be a great success whereby £50 or £500 is donated in return for the name of the business shown on the bike, the chance of a complimentary ticket for a race meeting, etc. Clarke is now looking forward to putting the new bike through its paces in Spain where he is due to take part in a four day test at Cartagena in late March in readiness for his new challenge. 2019 Pirelli National Superstock 1000 championship: R1 (April 19-21) – Silverstone; R2 (May 4-6) – Oulton Park; R3 (May 24-26) – Donington Park; R4 (June 8-10) – Brands Hatch; R5 (June 28-30) – Knockhill; R6 (July 5-7) – Donington Park WSB; R7 (July 19-21) – Snetterton; R8 (August 2-4) – Thruxton; R9 (August 16-18 – Cadwell Park; R10 (September 6-8) – Oulton Park; R11 (October 4-6) – Donington Park; R12 (October 18-20) – Brands Hatch.